I switched to Gmail. Do you know why? Not because of the features, partly because of the spam protection, but what really got me was the design. I was tired of the webmail interfaces of the 90s. Every service out there went 2.0 except for webmail interfaces. They got stuck in the last century. 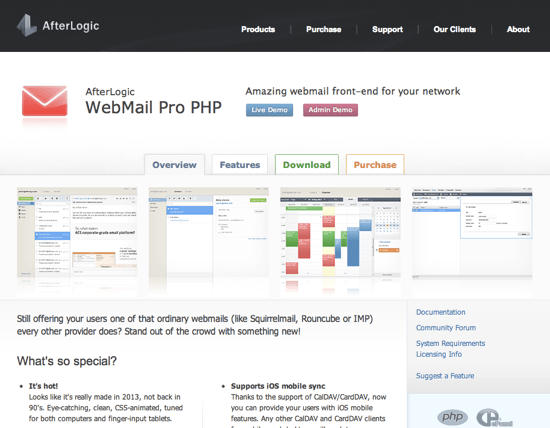 Had AfterLogic WebMail Pro v7 already existed a few years back, I might not have made the switch. WebMail Pro v7 is a PHP solution, any ISP or corporate email maintainer should take a long hard look at. Cloud services are the new craze. Software as a service is the next big thing ranging just shortly behind canned beer. The problem is, a good service programmer need not be an as well UI designer. So you might end up with a great service under an unbearable design. 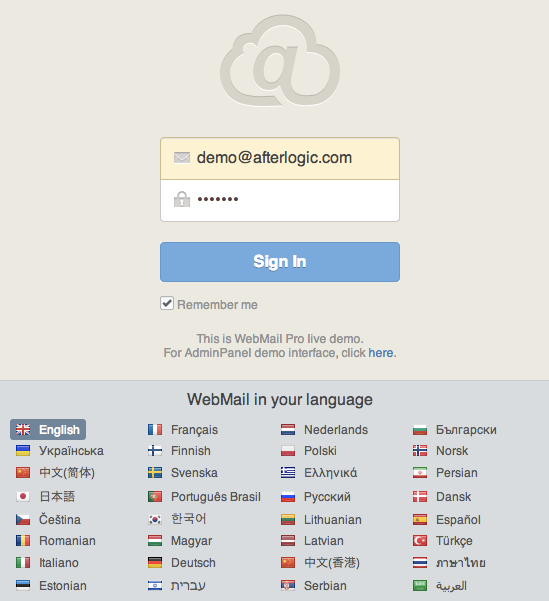 That’s where AfterLogic WebMail Pro v7 enters the stage. WebMail Pro is not an email server, but only the interface to one. WebMail Pro v7 supports loads of the leading email servers out there, such as Exim, Postfix, Courier, Dovecot, Sendmail, Qmail, and many others on Linux as well as Microsoft Exchange, MailEnable, IceWarp, MDaemon, hMailServer, and many others on Windows. Additionally it can easily be integrated with hoster solutions such as cPanel, Plesk and DirectAdmin. And WebMail Pro v7 is beautiful – clean and modern. WebMail Pro v7 makes using your mail service from the 90s enjoyable again. Built entirely with HTML5/CSS3, the UI works fast in any modern browser with fallbacks to support even the elderly internet viewer solutions. The software supports a wide variety of languages. WebMail Pro v7 makes you feel like working with a locally installed application. This is due to a new feature called “pre-caching”, which basically means that messages get loaded to the background already at launch, so that you will not notice any lag in opening a message after having clicked on it. This is a major advantage compared to the old-fashioned webmail interfaces you might have gotten used to. 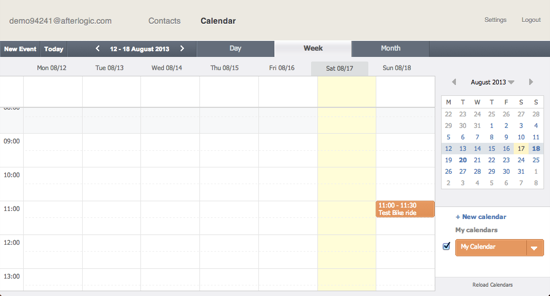 Besides giving access to your mails, WebMail Pro v7 comes equipped with a full-blown contacts management and calendar. You might suspect them to have gotten inspired by Gmail in this regard. But why not learn from best practices, instead of reinventing the wheel over and over again? All of these, especially the additional services make WebMail Pro v7 stand out from the crowd, a crowd, which – I already mentioned it – has great service quality, but poor frontends. WebMail Pro v7 is your way of connecting to the best of both worlds, albeit you will have to ask your ISP to go for it, unless you don’t maintain a dedicated mail server by yourself. Besides providing an intuitive interface for users, WebMail Pro v7 also delivers a clean interface for admins. Here you can manage your users, servers, domains, whatever. Need I mention that you can add more than one domain? Once you got access to WebMail Pro v7 as a user, it is easy to integrate all of your mail accounts into that one interface. 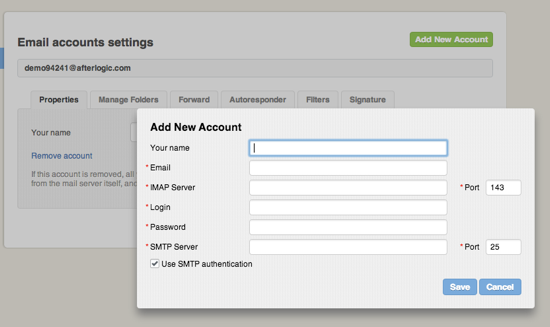 As long as your other services support IMAP, that is. POP3 is not supported. WebMail Pro v7 offers DAV synchronization. This way you can sync your calendar and contacts with any DAV-supporting device, such as iOS clients. 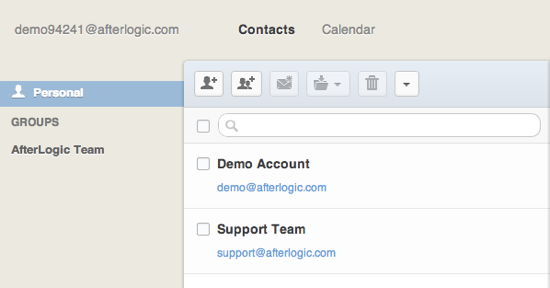 AfterLogic WebMail Pro v7 is powerful, yet comes with moderate price tags attached. There are two license models available, one is based on users, the other on the number of servers. The smallest license costs 99$ for 100 users or one server. Obviously the more users or the more servers you need to support, the fee rises accordingly. I’m using the light version, and it’s awesome. I’m forwaring all of my Gmail accounts to a custom personal e-mail account and I’m using AfterLogic light as front-end for checking up my e-mails. 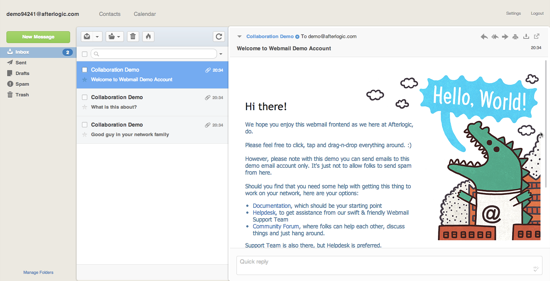 How beatifully you have defined “AfterLogic WebMail Pro v7” its really helpful post. I really enjoyed it so much. I am not trying to spam, here is actually something useful for readers specially HTML and WordPress themes authors who wants to submit their templates to sell them.